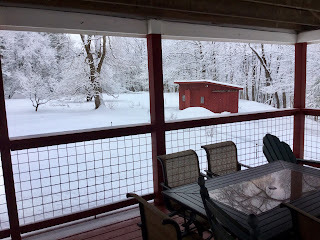 Early morning in Colrain after the March 5, 2019 snowstorm. As you can tell, I’m impatient for spring. Farm Song is still a work-in-progress, with no deadline I dare announce. So cold so clear . . .
on the fields, on the branches . . .
p.s. "Farm Song" is still a work-in-progress, with more complications and more interruptions than I could have imagined.